Shane I. Binder, P.E., M.ASCE; Timothy D. Brett, P.E., M.ASCE; Angela L. Matthews, P.E., M.ASCE; Brett A. Pope, P.E., M.ASCE; and Andres Torres, P.E., M.ASCE, are the recipients of the Edmund Friedman Young Engineer Award for Professional Achievement for professional achievement in service to the advancement of the profession, evidence of technical competence, high character and integrity, and contributions to public service outside their careers. Binder, a senior transportation engineer at the Seattle, Washington–based Transpo Group, is a multimodal transportation engineer with global experience designing illumination, traffic signals, nonmotorized facilities, and intelligent transportation systems for federal, state, and local agencies as well as private developers. Binder’s team leadership roles for transportation studies and designs have helped to create safer roads through advanced transport technology deployment, access management solutions, and transportation safety research. He also has an extensive background in road safety audits and crash-reduction studies using his engineering expertise. Binder’s experience includes signage, temporary traffic management, local road traffic calming, bus priority, traffic impact assessments, parking and access management solutions, transportation safety research, and active mode designs. Notably, Binder spent several years designing adaptive traffic control and illumination systems in New Zealand, and led a research paper and presentations on reducing pedestrian delay through SCATS (Sydney Coordinated Adaptive Traffic System) timing modification. Presently Binder is working, with the New Zealand Transport Agency, on a report on safety and delay benefits at signalized right turns which focuses on safety and operations at SCATS-controlled intersections. Brett is assistant manager of the Civil Engineering Environmental Studies Unit at Coraopolis, Pennsylvania–based, Lennon, Smith, Souleret Engineering, Inc., where his main focus has been development of wet-weather plans, long-term control plans, Act 537 plans, and hydraulic and hydrologic modeling of sewer systems. Among his main projects have been the ALCOSAN (Allegheny County Sanitary Authority) Upper Monongahela Planning Basin wet-weather facilities plan, and development of feasibility studies for various clients in Allegheny County in compliance with the Pennsylvania Health Department’s Administrative Consent Order. In addition, he is a member of the 3RWW PM (Three Rivers Wet Weathers Program Management) Team, which included involvement in the Feasibility Study Working Group, Complex Sewershed analysis, and Green Infrastructure analysis. Previously, Brett was employed by the Pennsylvania Department of Environmental Protection, where he was involved in the sewage facilities and NPDES (National Pollutant Discharge Elimination System) permitting programs. Currently president-elect for ASCE’s Dallas Branch, Matthews is senior engineer / project manager with Dallas, Texas–based Hayden Consultants, Inc., with a focus on regional water and wastewater infrastructure design. For the past 12 years, Matthews has served North Texas agencies and municipalities in water, wastewater, paving, and drainage system design, including hydraulic analysis, master planning, capital improvements plans, impact fees, studies, reports, and bidding and construction administration services. Prior to Hayden Consultants, Inc., she was employed by Carter+Burgess (now JACOBS Water Infrastructure Group), where she provided design and analysis for water and wastewater systems, and city engineer services. Matthews, who co-chaired the ASCE Texas Section’s Centennial Celebration this past year, is also involved with business development for public infrastructure pursuits on the local and regional levels. Recognized by the Dallas Section as its 2007 Young Engineer of the Award, Matthews was also named one of the 2008 New Faces of Engineering by ASCE during National Engineers Week. An active member of the Texas Society of Professional Engineers (TSPE), she currently holds the position of director and finance chair for its Preston Trail Chapter. Also, in active promotion of the value of STEM (science, technology, engineering, math) education, she served as volunteer coordinator for both the 2012 and 2013 TSPE Chapter MATHCOUNTS competitions. For her efforts, she has been recognized by being presented TSPE’s Preston Trail Chapter’s Young Engineer of the Year Award, the Chapter President’s Award, and the TSPE Young Engineer of the Year Award. Pope, transportation sector leader in the geotechnical department for Houston, Texas–based Terracon Consultants, Inc., has over 5 years of geotechnical engineering experience, including on a wide variety of transportation, public infrastructure, commercial, and residential projects. Also an active member of ASCE for the past 5 years, he currently serves as the Houston Branch vice-president of administration and the Texas Section’s senior director-at-large. A graduate with a bachelor’s degree in civil engineering from Virginia Tech and a master’s degree in civil engineering from the University of Houston, Pope has served the Houston Branch as secretary, branch director, and younger member chair and the Texas Section as first-year director-at-large and younger member chair. Torres, an engineering project manager at Valmont Industries since 2005, is responsible for engineering and drafting activities for projects involving tubular steel structures that are used to support transmission and distribution lines, highway lighting, sports lighting, and traffic lights for overseas customers. The engineering work includes the design of structures per different codes and standards, including the ASCE Standard ASCE/SEI 48-11 Design of Steel Transmission Pole Structures and AASHTO Standard Supports for Highway Signs and Luminaires and Traffic Signals (1994, 2001, and 2009 versions). He has designed structures for more than 25 countries in Central and South America, the Caribbean, Africa, Europe, and Asia. Also, for Valmont’s global facilities in Asia, Europe, and North America, he coordinates the technical and management aspects of those projects. 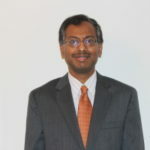 He directly manages engineering work done by a design engineer located in the U.S. and reviews work of engineers and drafters located in the Valmont global facilities. Starting in 2011, Torres was given additional responsibilities and has also been managing a team of project administrators that support Valmont’s commercial activities, including preparation of bids, procurement of material, fabrication schedule, and international shipments for Valmont’s projects. During his overseas trips, Torres has conducted technical seminars and presentations to electric utility companies, consulting firms, contractors, and local municipalities. In addition, he has provided training on Valmont’s design programs and U.S. design codes to engineers in China, France, India, Poland, and Turkey.